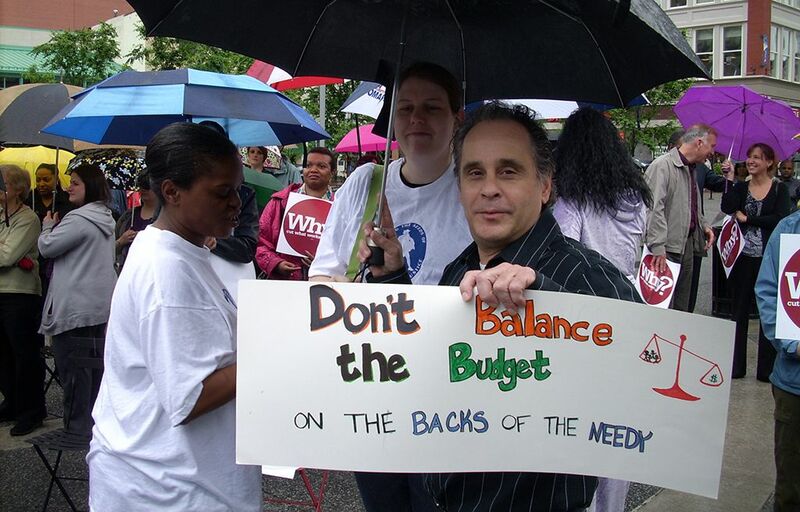 Just Harvest’s Ken Munz and Ann Sanders at the 2011 Why Cut What Works? rally. The taxes government collects determines the quality of services they are able to provide. Requiring corporations and the wealthy to pay their fair share allows for a more equitable society where we can cover all needed support and investments – like education, health care, and human services. For over a decade, Just Harvest has provided free tax preparation assistance to low-income households in Allegheny County in order to help them access key tax credits and put more of the money they’ve earned back in their pockets – one of the best and most efficient ways to fight poverty and hunger. In the meantime, we continue to lobby at the federal, state, and local levels for tax policies that address wealth inequality and poverty, and for the adequate funding of government anti-poverty and anti-hunger benefits programs. expand and protect the EITC and Child Tax Credit. help prevent massive and unprecedented cuts to food stamps in the 2014 Farm Bill. Stay in the loop about efforts to reduce wealth inequality through more fair and sensible tax and budget policies. Get our monthly update. We are working at a state and federal level to create a more fair tax system.